The Jungle Book (2016) looks wonderful in 3D. The movie looks sharp, bright and vivid and seems to be made for 3D. Many of the animals within this movie use 3D to make themselves more intimidating and pop out of the screen. The 3D made the animals look more realistic and gave them a real presence on screen. The 3D makes for an immersive visual experience as you feel like you are in the jungle with tree limbs and foliage popping out and giving you multiple layers of 3D. Without a doubt The Jungle Book (2016) is easily the best use of 3D in a movie that I have seen so far in 2016. I walked into this movie with hesitation but left the theater with a huge smile. 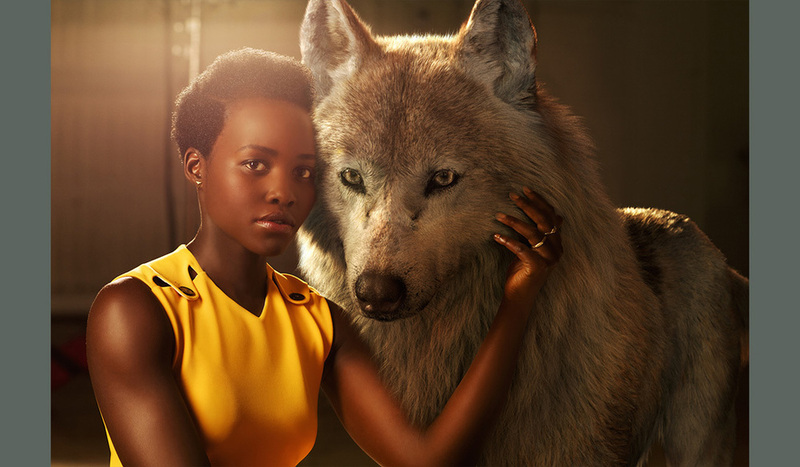 The movie is essentially a live-action remake of the classic 1967 Disney animated Jungle Book movie, with a few twists and turns and a darker more realistic tone. The story revolves around a young boy who lives in the jungle named Mowgli. The jungle animals raise Mowgli and he can communicate with them. Considering this movie is live-action with computer-generated animals I was worried that seeing realistic looking talking animals would be strange to see. I worried for nothing, because this movie works beautifully and the trailers totally fail to demonstrate the quality filmmaking of this movie. I had no problems suspending my disbelief and enjoying this movie for what it is. This is possibly one the best voiced movies I have ever seen, everyone is simply perfect in their roles and even sound like the animals they represent. My favorite voice actor was Bill Murray as Baloo the lazy bear. Bill Murray's delivery is spot on and possibly best work of his fantastic career. The most important character of this movie Mowgli, who is played by newcomer Neel Sethi and he is perfect for this role. This young actor shows impressive talent that carries the movie. Mowgli is the only human character and I totally believe that he is talking and interacting with the animals and doing all the stunts. So many actors struggle acting besides digital characters and he totally nails this role. The movie is strait forward and keeps a fast and fun momentum. The movie is filled with innocent charm and is simply a joy to watch. The Jungle Book (2016) has many funny and captivating scenes and is pure fun. The only issue I have with this movie is how it handles songs. The two songs within this movie are essentially the same songs from the 1967 animated Disney movie and they sadly fall flat. These songs are more subdued and toned down versions of the original songs and they don’t compare to the originals and feel out of place within this movie. Overall I was captivated from beginning to end of this movie. This is a remake done right and is a magical Disney experience that is fun, charming with amazing special effects that the entire family can enjoy.